Multifunctional piece of furniture designed as an elegant space-saving solution for the modern living space. 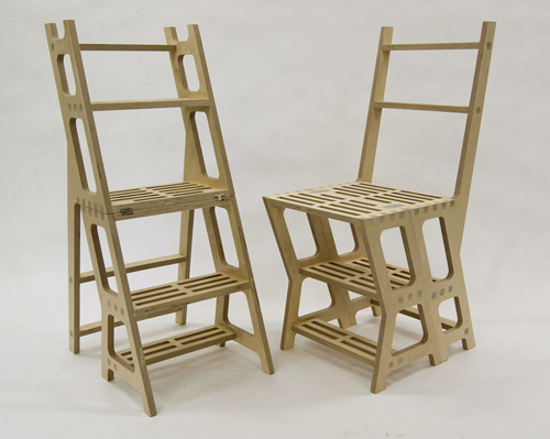 An occasional chair in its resting state, the Library Chair folds into a step ladder when needed. Wholesale and retail prices available upon request.